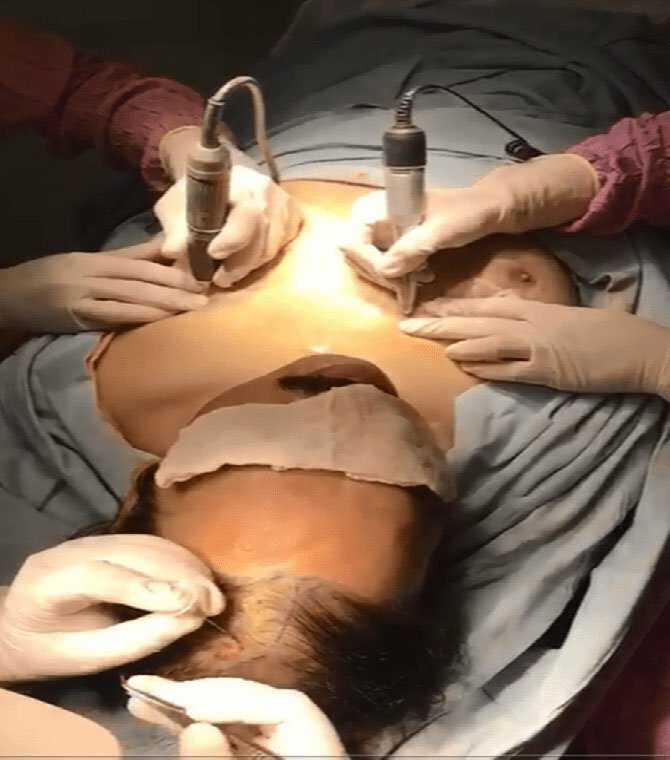 FUE or follicular unit extraction has preferred a method of direct hair transplant nowadays. Direct hair transplant is the method of FUE Hair transplant in which we transfer the follicle/graft from the donor area directly to the recipient area without delay. Donor area may be Scalp, chest or beard. Between extraction and direct hair implantation, grafts remain outside the body in a graft holding solution. The most important advantage of direct hair implantation method is, it reduces ‘out of body time’ of the follicle. By reducing out of body time of follicle incidence of almost all the factors which causes reduced survival of the graft decreased automatically. Main factors are drying and desiccation of graft, hypoxia, infection, graft heating, and graft storage injuries. If Out of body time of grafts is reduced survival rate of grafts is improved. As shown by the in vivo study of ‘Limmer’ for Out of body time the survival rates were, 2 h, 95%; 4 h, 90%; 6 h, 86%; 8 h, 88%; 24 h, 79%; 48 h, 54%. According to him the loss of grafts was usually 1% per hour. So, storage of grafts is an important issue to improve graft survival. At rejuvenate hair transplant centre, we use plasma as a graft holding solution so as to provide a better biological atmosphere to the grafts. This is significant for FUE grafts mainly because these grafts are skinny (thin) as compare to FUT grafts as there is less amount of fat tissue in these grafts, so chances of dehydration injuries increase in them. Simultaneous extraction and direct hair implantation reduce this chance. As we all know FUE is gaining its popularity day by day over FUT because of escaping of cut and linear scar, also post-operative pain is less. Limitation of FUE is limited donor area. So to get more hair roots and to fulfil the desire of grade VII patient to get operated by FUE, donor area in FUE is increased from scalp to body hair, mainly beard and chest hair. Body hair roots are more delicate than scalp donor hair. This hair when implanted directly to the recipient site increases their viability significantly. Another important factor is it also reduces the overall time of the surgery. Normally during FUE Hair Transplant, Surgeon extract the grafts and then implantation is done by trained surgical assistants. Now, these two procedures are done simultaneously so as reducing time, it also helps to keep better watch over assistants. Anagen effluvium is the normal process after hair transplant, it leads to falling off the implanted hair (not roots) between 3 weeks to 6 weeks after the hair transplant. These hairs again start growing after 4 months. 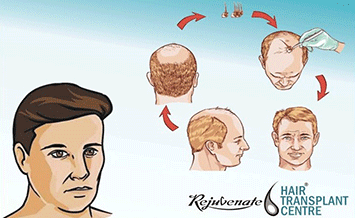 Indirect hair transplant incidence of anagen effluvium is reduced, it results in the early growth of hair. We can see results in 2-3 months. This gives to feel good effects on patients.